Gideons International is an evangelical Christian association founded in 1899 in Wisconsin. The Gideons’ primary activity is distributing copies of the Bible free of charge. This Bible distribution is a global enterprise taking place in more than 190 countries, territories and possessions. Every day, through your support, Gideons are putting God’s Word into the hands of millions with more than 82 million Scriptures annually. Please pray for this important ministry. We are proud to announce that one of our new members is a Lifetime Gideon – Mr. Charles Witherspoon. God will certainly be saying “well done good and faithful servant” as we continue to see Jesus in the members of our church. You can find out more about the Gideons by clicking on the image above. You know you’re in Texas when one of the members of your church gets inducted into the Bull Riding Hall of Fame. It certainly doesn’t happen when your church is in California. “Welcome to The Bull Riding Hall of Fame! It’s an 8 second ride of which legends are made… An athlete matching skills with a ton of raw power with cat-like agility. Whether you’re a bull rider or a lover of the sport, you know there’s not a competition in the world that’s as demanding or as dangerous as bull riding! Our great sport has a legendary history that is as colorful and rich in tradition as any sport in the world. From the early days, champions have emerged and excelled. The legacies of these greats live today in the hearts and souls of bull riding lovers everywhere. 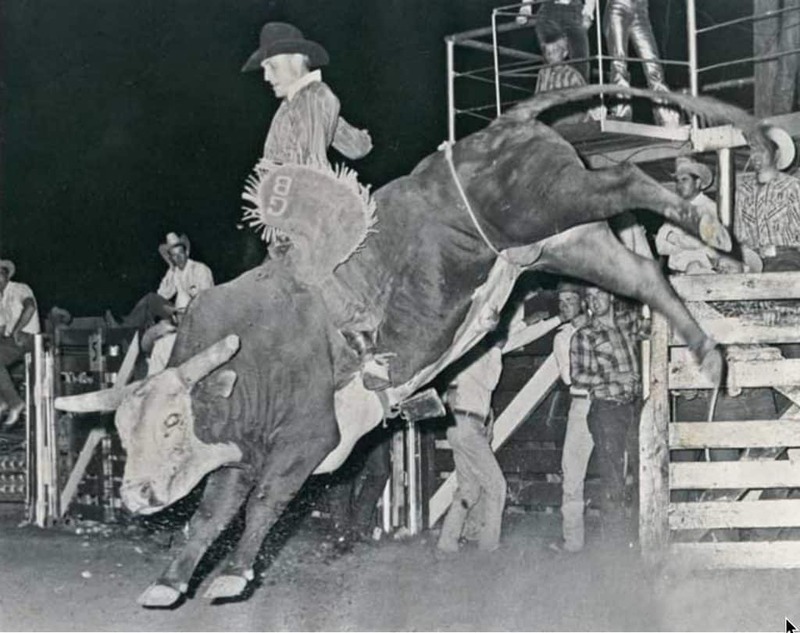 Since it’s beginnings in rodeo, bull riding has been the most exciting and popular of all the rodeo events. Along the way it has also evolved into a stand alone sport with it’s own captivating identity. As long time members with his wife Judy, Glen may just be one of the toughest guys around (if you can say that anymore…) he’s certainly well loved and respected. You can read more about Glen by clicking on the image above.